ta voščilnica je bila narejena za rojstni dan sorodnice, ki rada potuje. nisem ravno velik ljubitelj roza barve, ampak takšna v bolj starinsko rožnatih odtenkih pa mi je všeč. pa še nekaj rožnatega za lepši dan! Lepa je. Ta barva ji paše. 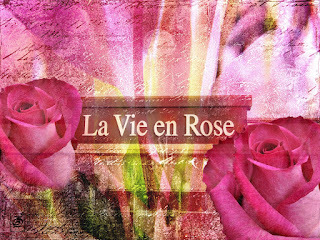 A lovely simple card design, very pretty and feminine. Thanks for playing along with us at AYLI this week. Tudi jaz sem nabavila te papirje, bo treba kaj narediti z njimi. Na takšno voščilnico s starinskim pridihom roza barva zelo lepo paše. :-) Super si jo sestavila in lepo sledila skici. 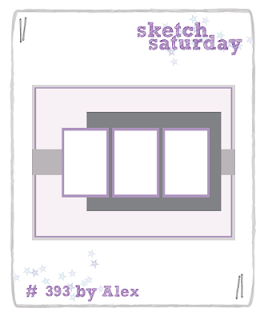 Lovely card and great use of the sketch at Sketch Saturday this week. Thanks for entering! What a fabulous card design. Love the details and colors. Thanks for your entry in our challenge at 613 Avenue Create! Tina voščilnico si zelo lepo sestavila po dani skici. In rožnata barva ji resnično doda pridih vintaga. Prejemnica je bila zagotovo presrečna! A very nice card in beautiful colors. Thanx for playing with us at WLVC. Beautiful card, very pretty colors.Thanks for playing along over at DL.ART! Thanks for playing along with us at Kreadiva´s ! Še ena, ki je istih misli, kot moje predhodnice. Ta barva je kot naročena za vintage varianto. Včasih stopimo iz svojih okvirov, pa potem vidimo, da je tako tudi prav:)Lep voščilnica, ki te takoj povabi še na kakšno potovanje. Lep pozdrav, Andreja V.
Beautiful card ,stunning project! Thank you so much for entering our Kreadivas challenge this month. Great take on the sketch and so beautifully executed! I love the softness of the colors. Thanks for dropping this off by our house here at 613 Avenue Create! Beautiful card. Love the layout. Thanks for joining us at 613 Avenue Create Challenge Blog. Usually tree bugs are bad... but not you! I love your card-- no wonder it won at Sketch Saturday last week! Fabulous card Tina, I love the vintage look! The images are wonderful and I also like the dusty rose colour-scheme. The scalloped borders are lovely and the addition of the lace and die cut butterflies finish your card perfectly. Thanks for joining us at Seize the birthday! Stunning card. Thanks for joining us at BSC. Lepa je, nežna in z nostalgičnim pridihom. Vidim, da imaš tudi ti zelo rada skice. Beautiful card, I really like the image you used along with the soft shades of pink scalloped background papers. Very Pretty.Thanks for playing along over at DL.ART! Great card, thanks dor joining WLVC! A beautiful card you have worked there. , Thank you for joining us at Winter Wonderland. What a beautiful card. Thank you for joining us at Fairy Tale Challenge. Thank you for joining us at Paper Creator this month.